King continued to articulate that genuine equality and self-determination would not be achieved as long as the government placed imperialist war, the super-exploitation of African Americans and the degradation of other oppressed groups ahead of eliminating the sordid legacy emanating from slavery and the conquest of North America by Europeans. The administration of the-then President Lyndon B. Johnson became completely alienated from King and had every incentive to liquidate him and the African American movement in general. Just one week prior to his assassination on April 4, Thursday March 28, a mass demonstration to support the predominately African American sanitation workers seeking recognition as the American Federation of State, County and Municipal Employees (AFSCME) Local 1733 involving thousands of youth, clergy and union members themselves, was ended by the police responding to the breaking of windows by some of the participants. This demonstration had initially been scheduled for Friday March 22. However, an unseasonal snowstorm covered Memphis forcing organizers to postpone the general strike and protest to six days later. When King came to Memphis to address a mass rally earlier on March 18 at Mason Temple tensions were extremely high in the city. Mayor Henry Loeb, the brother of a businessman who owned a chain of dry cleaners and restaurants throughout the city, had refused to negotiate with the representatives of AFSCME 1733 after they walked off the job on February 12 in response to the failure of the city to adequately respond to the accidental deaths of their colleagues Robert Walker and Echol Cole, stemming directly from faulty equipment. The Loeb administration declared that public employees were not allowed to strike. He had won injunctions against both Memphis AFSCME officials and national leaders of the union prohibiting them from engaging in industrial action. Police had attacked a demonstration of 1,000 unionists and their supporters along Main Street on February 22 after they had failed to win a settlement on key issues before a meeting of the City Council. People were beaten, maced and arrested fueling deep resentment among the workers and city residents as a whole. During the course of the month of March, police reports indicated that there were rocks thrown through the windows of Loeb businesses. People frequenting these establishments were taunted and threatened by others in the community. Compounding the position of the administration labelling the strike as illegal, pressure was brought on some employees who returned to the job. Several hundred replacement employees were hired aimed at fostering discouragement among those engaged in the work stoppage. In response strike supporters began blocking the exiting of garbage trucks to collect rubbish which was piled up throughout the city. A boycott of key businesses within the downtown area was initiated to bring to bear the full political pressure of the African American community. The two leading daily newspapers, the Commercial Appeal and Press-Scimitar, were also targeted by the movement for their biased coverage of the strike. Of course these tensions came to a head on March 28 when King attempted to lead a march demanding that the Loeb administration agree to dues check-offs for AFSCME 1733 workers along with other benefits including vacation time and insurance coverage. After the window breaking and property appropriation by the people began, the leaders of the Community on the Move for Equality (COME) coalition headed by clergymen and community organizations urged people to return to Clayborn Temple, the base of the strike. Police then began to savagely beat people on the streets. Later 16-year-old Larry Payne, a student at Mitchell Road High School, was shot to death by police in the nearby Fowler Homes Project. Overnight property damage and arson attacks prompted the deployment of several thousand Tennessee National Guard troops to ostensibly quell the unrest. 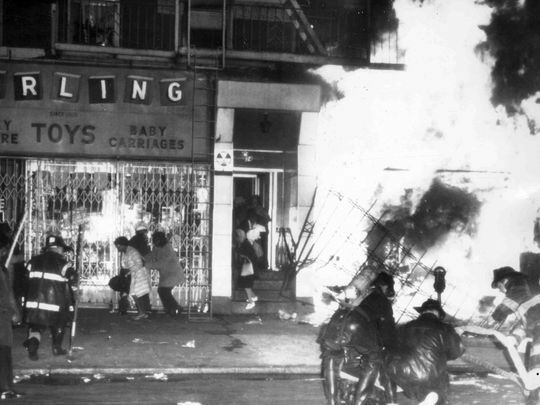 New York rebellion after the assassination of Dr. Martin Luther King, Jr. Nonetheless, the demonstrations continued by the strikers and COME. 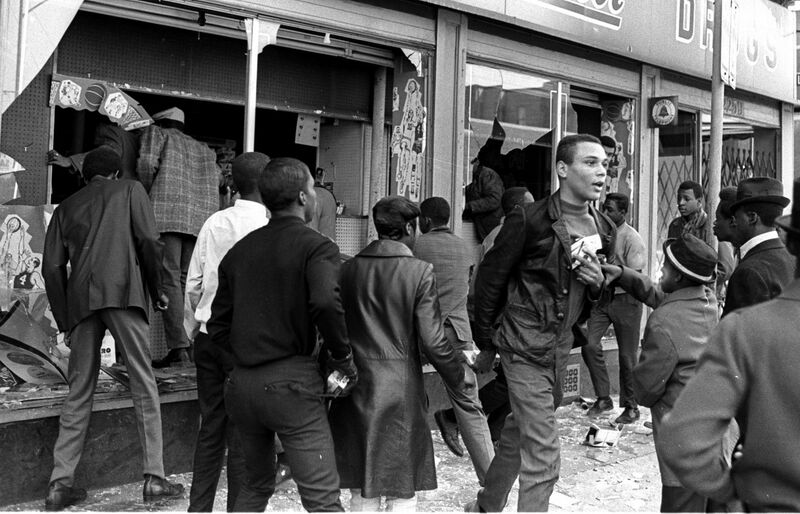 The rebellion on March 28 was blamed by the corporate media on the Black Organizing Project (BOP) composed of students and working class youth agitating for more militant action. Some of these youth had the word “Invaders” written on the backs of their jackets, which the press used to stigmatize them as troublemakers. 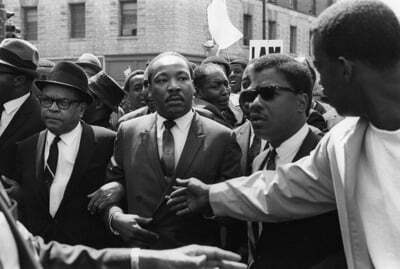 The SCLC leader was also blamed for the property damage and arson on March 28 as well. A barrage of criticisms against King utilizing the media and the U.S. Senate was launched claiming that the Poor People’s Campaign should not be allowed to occupy Washington, D.C. since it could easily erupt into a mass rebellion at the seat of the national government. King and COME were committed to continuing activities surrounding the strike. Another march was planned for April 8 despite the injunction handed down by the Memphis courts proscribing another demonstration under the guise of preventing violence. After King’s assassination during the early evening hours of April 4 while he stood on the balcony of the Lorraine Motel, shock and outrage spread throughout Memphis and the country. Again attacks on property and firebombing took place throughout the night. By Friday April 5, mass demonstrations, walkouts, and rebellions were spreading across the country. Within one week some 125 cities had been hit with civil unrest. At the time the corporate and government-controlled media attempted to discourage the rebellions saying that MLK was a man of peace and had never condoned violence. Although this was true, the SCLC leader understood the rebellions as the voice of the unheard. His response to the escalating unrest from 1964-1968 was to advance a program demanding the guaranteeing of full-employment, a minimal annual income for everyone, the institution of national health insurance, the elimination of slums along with an immediate ceasefire and the withdrawal of U.S. troops from Vietnam. Today some five decades later the notion of King as separate from the social conditions that produced him permeated the 50th anniversary events which were covered by the corporate and pro-government media outlets. 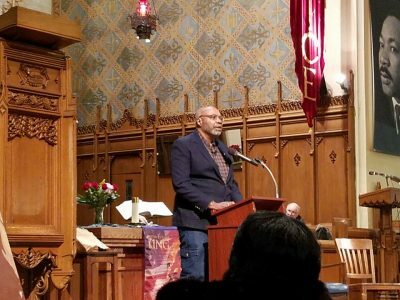 In several cases a few individuals were allowed to note that the character of racial and class oppression in 2018 is just as bad if not worse than what prevailed in 1968. What was completely absent was the continuing role of the Pentagon budget and now homeland security in the repressive apparatus of the capitalist-imperialist state. Successive U.S. administrations both Democrat and Republican maintain the interventionist policies which marred the 1950s and 1960s related to the wars carried out in Korea, Vietnam, the entire southeast Asia region, Cuba, the Dominican Republic and other geo-political regions. These expenditures on war and “national security” hamper the ability of the government to address the crises of unemployment, under-employment, low wages, increasing poverty, the status of immigrants and the collapse of transportation, educational and environmental infrastructures, among other social problems. Tens of millions of jobs have been loss in the U.S. due to capitalist monetary and trade policies. A revived Poor People’s Campaign is attempting to raise these issues this year. Nonetheless, a multi-pronged approach to ending war, racism, class exploitation corporate dictatorship is required to transform the existing system.